We’ve known for quite a while that Amoeba would be relocating the Hollywood branch of their record store empire, but we found out today that they have more in mind for the new store than just a change of address. When the new location is confirmed–an announcement we expect to hear soon–they’ll also be applying for a permit to function as a marijuana dispensary. Variety broke that news today, noting that the search for a new space is down to just three candidates, all within just a few blocks of the current Sunset Boulevard location. All three spaces are about 20,000 square feet, which is roughly 15 percent smaller than the mammoth store’s current footprint. Perhaps we should have seen the move to add a cannabis element coming. Just this week, Amoeba’s Berkeley location opened a pot shop. At that location alone, Amoeba co-founder Marc Weinstein told Billboard he expects to double annual gross sales thanks to the addition of the on-site dispensary. The idea of combining the businesses came to Weinstein and his co-founder Dave Prinz all the way back in 2012 as a possible way to make up for slagging record sales, but it wasn’t until the passage of Prop 64 that it really became feasible. As for Amoeba’s current digs, Weinstein and Prinz sold the building to investors in 2015 for $34 million. 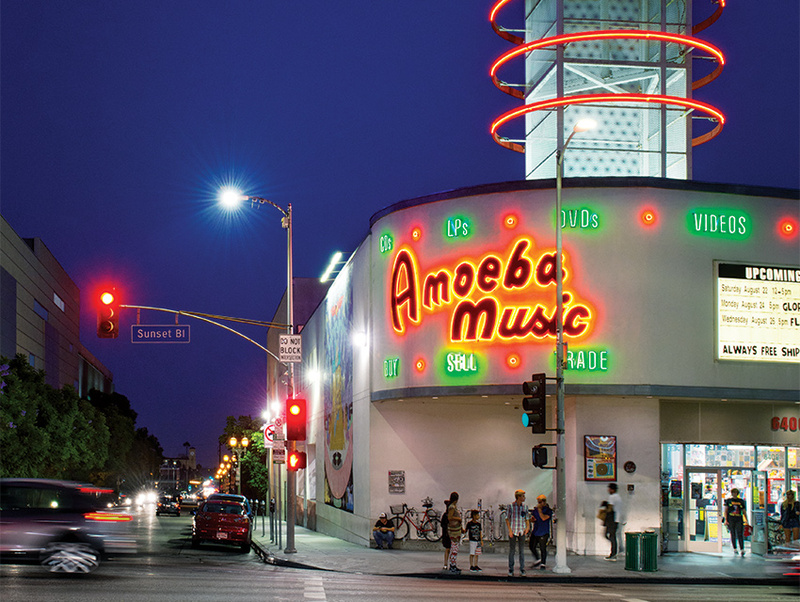 Once Amoeba moves out, the current plan appears to be to convert the location into a mixed-use high-rise.